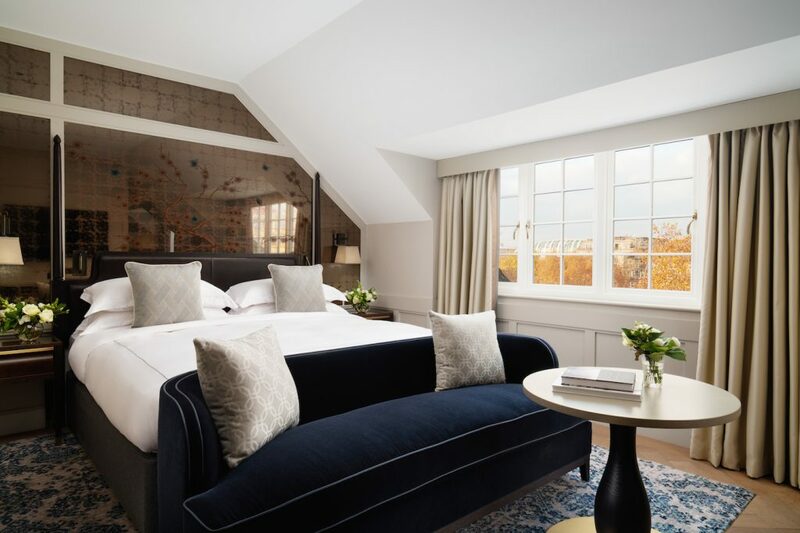 London hotel The Biltmore, Mayfair is set to open as LXR Hotels & Resorts first UK property, following an agreement between Hilton and Millennium & Copthorne Hotels plc. The luxury hotel, situated on a prime location in the heart of Mayfair on Grosvenor Square, will open for business in Spring 2019, marking the new brand’s European debut. The hotel, which will be known as The Biltmore, Mayfair – LXR Hotels & Resorts, has undergone a multi-million-pound redevelopment following its closure in early July 2018. Designed by Goddard Littlefair, the property will offer 257 luxuriously appointed guest rooms, many with views over Grosvenor Square, as well as 51 highly-curated and beautifully designed suites, which will reflect the property’s origin as a sophisticated and elegant London private residence. Moments from Bond Street’s exclusive retailers, the green spaces of Hyde Park and Green Park and London’s famous landmarks, Grosvenor Square has a rich history housing the capital’s aristocracy since the early 18th century. Patrick Fitzgibbon, senior vice president, Development, EMEA, Hilton, said: “LXR is designed to bring together the best of luxury in global destinations. The Biltmore, Mayfair is a stunning addition to the new collection and prestigious extension to Hilton’s growing luxury portfolio in London. LXR is a collection of independent hotels distinguished by a commitment to personalised attention and luxurious yet locally immersive experiences for guests. Last year, the collection welcomed its maiden hotel in Dubai at Habtoor Palace, a 234-guest room luxury hotel situated on Sheikh Zayed Road. The Biltmore, Mayfair will boast new culinary concepts headed by internationally-renowned chefs, an all-year round alfresco terrace, an exclusive cocktail bar and a large gymtech fitness suite.